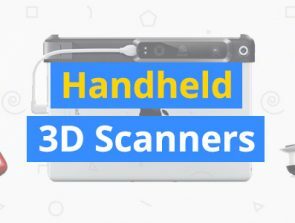 The enthusiastic, global community of 3D print makers are constantly coming up with new ways to make the process of printing more efficient and flexible. For a long time, two of the biggest problems encountered by 3D printers was that entire objects had to be created in a single color, and the speed of the printing process was very slow since the filament had to travel at a gradual pace through a single extruder. The solution that 3D print engineers came up with was to increase the number of extruders from one to two, and that is how dual extruders became a reality. They are available for purchase at around $900. One extruder for your 3D printer is good, and two extruders can be even better. Some people believe having two extruders helps print faster, but that’s not what actually happens. Adding two extruders to your 3D printer allows for multiple filaments to be ‘piped in’ and ready to be used. This helps save time by allowing the printing to be done continuously. Two extruders that are ready to go means you don’t have to waste time emptying out the extruder of the previous filament to feed the next before printing can be resumed. In other words, you save time by not having to service the 3D printer as much as it prints. 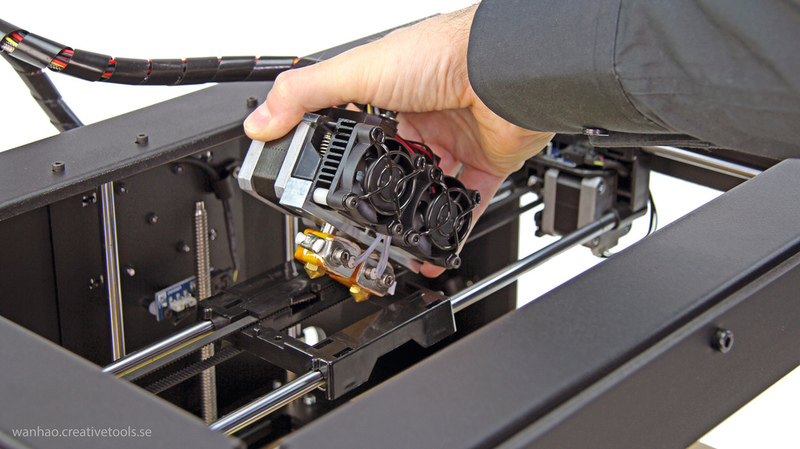 There are many ways in which dual extruders are put to good use by 3D print manufacturers. The most common use is for separating the material which is used for printing an object from the filament which is used to print support material. Support materials are used when you create complex objects that usually have overhangs. Without supporting material, the overhang would likely fall down or droop while the filament cools down. Dual extruders allow you to separate low-grade filament for the support material which will be discarded once the complete object is created. In this manner the best quality material can be saved up to build the actual object. In such projects, a special degradable or soluble filament can be used to print the support material which is easier to remove upon project completion. 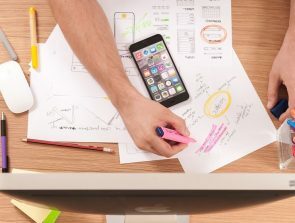 This technique helps speed up the printing process while at the same time making it easier to remove the support material quickly and cleanly. Another fun way to use dual extruders is to create multi-colored prints. When each of the two filaments are of a different color, it allows the maker to switch between the two to create an object with far greater color variation without needing to physically change the filament every time a new color needs to be used. 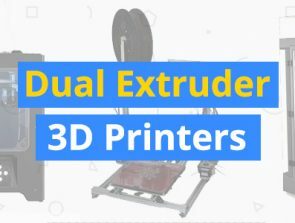 Whether or not you should use two extruders depends on the type of project you wish to carry out. Printing simple, basic blocks of objects can be done with a single extruder. On the other hand, if the project requires you to build a model with many parts of different colors, or if the model is going to take a long time to make, using a dual extruder can do the job much better. 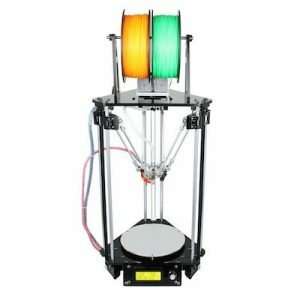 There are a lot of 3D printers for consumers to choose from. 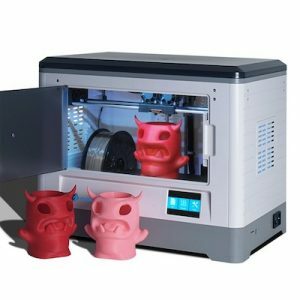 Below are a selection of the best dual extruder printers that are available to buy. If you already have a dual extruding printer, skip to the section on how to set it up below. Dual extruder printers are usually expensive. Very few entry level models exist that have two extruders. One exception, is the Geeetech Delta Rostock Mini G2s. It comes at just under $400 and it comes with a ton of functionality out of the box. It can print in multiple materials and it even has auto leveling. It’s not the easiest printer to use, but it’s perfect for people looking to get their feet wet. The QIDI Tech I offers a lot more for a few hundred dollars extra. It is extremely well rated and it comes with a well designed heated bed. It is usually around $700 and it does not disappoint. It’s a solid workhorse and great fun to use. For people who want to spend a bit more, the FlashForge Dreamer lives up to its name. You will get high-quality prints with less hassle. 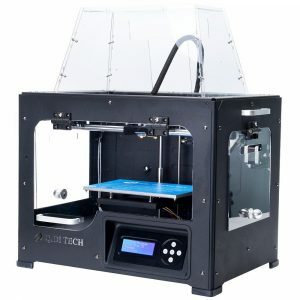 At just over $1000, the FlashForge Dreamer is a bit more expensive than other options. This is the 3D printer for you if you are looking for a well-designed machine that is built to last. The first thing you need to do is to separate each color of the model to be printed into individual STL objects and assign each to a particular extruder. After setting the STL objects, the model is combined and sent to the 3D printer. The two separate objects are then printed in a single pass which combines automatically as the print nears completion. Before the printing can start, the printer needs to be told which part is to be in which color. 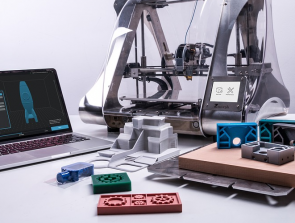 There are different types of software you can use to interface with the printer, and each software can have a varying methods of assigning colors to a particular extruder. A good software on the market is MakerBot’s MakerWare for dual color prints. The software allows for easy selection of an STL model with a few clicks and then you can decide which extruder will use which color. MakerWare allows for an intuitive selection of color on the virtual print bed, so you can check to see what the final result will look like before assigning the colors. In conclusion, dual extruders can be a great boon for 3D makers as long as they know how to make use of them. Remember, using dual extruders does not speed up the actual process of printing. You will, however, save a lot of time otherwise spent on switching filaments. The model preparation process needs special care if you’re working with two colors, so each STL separately carries the color you wish to assign to a single extruder. 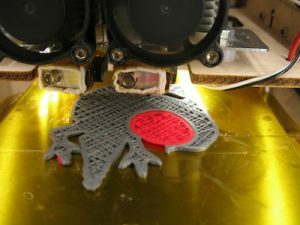 Before printing begins, you should check to see if the build plate has been preheated, and whether the printer is level on a firm surface, with the extruders carefully calibrated. I have a wheel that I need to print 2 at the same time with 2 extruders. The wheels are identical in all aspects. I have a BIBO 3D printer and I know it’s possible but I just don’t know how. Can you help?